To enter or leave a cleanroom usually Airshowers are used. 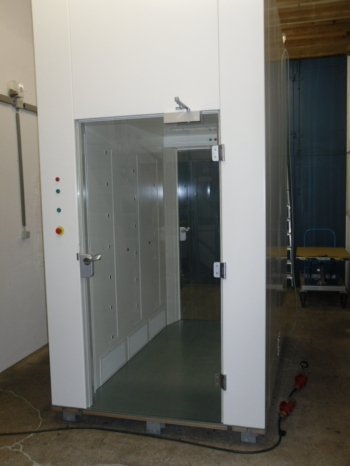 First, the Airshower Cubicle 2400 should protect the cleanroom from contaminated air and prohibit that contaminated air gets in when persons enter or leave the cleanroom. Second, the Airshower Cubicle 2400 should blow away particles which adhere on working clothes. When establishing the Airshower Cubicle 2400 all these tasks can be solved good.